The health benefits of sweet potatoes are significantly greater than white potatoes. By enjoying them regularly, perhaps once or twice a week, you could reduce your risk of developing breast or prostate cancer – and lower your blood pressure. The sweet potato (Ipomoea batatas) was brought from Central America to Europe by Columbus and, gram for gram, they are one of the most nutrient dense foods available. In Japan, both the tuberous roots and leaves are a dietary staple – especially in Okinawa where, together with fish, seaweed and turmeric, their consumption is associated with unusually long lifespans. Sweet potatoes come in a range of colours – but are not the same as those pictured on the left. These are normal white potatoes with red skins. What you need are the true sweet potatoes whose flesh is also coloured, and which are usually more knobbly and irregular in shape. Sweet potatoes with an orange flesh are exceptionally rich in betacarotene, an antioxidant carotenoid which your cells can convert into vitamin A (retinol) when needed. Just 100g of orange-fleshed sweet potato provides over 8500mcg of betacarotene, which is at least as good as new carrots. Sweet potatoes are an excellent source of vitamin C, and a useful source of vitamin B2, vitamin B3, vitamin B5, folate, calcium, iron, magnesium and potassium. If you ever see the red or purple-fleshed versions for sale, grab them quick (Waitrose now sell them).Purple sweet potatoes are unusually rich in anthocyanin polyphenols. As a result, one study found the antioxidant activity of purple/red sweet potatoes was more than three-fold higher than blueberries. Sweet potatoes have a lower starch content than normal white potatoes and therefore have less impact on blood glucose levels, as assessed by their glycemic index and glycemic load (boiled sweet potato GI 44 / GL 11 versus boiled Maris Piper white potato GI 85, GL 25). All these benefits make sweet potatoes a valuable medicinal food that is used to treat diabetes in Kagawa, Japan, while the leaves are used as a medicine to treat type 2 diabetes in Ghana. Healthy sweet potato chips that are baked rather than fried are really easy to make. Wash and scrub the sweet potatoes (you can peel them, but you will get extra fibre and minerals if you leave the skins on). Slice lengthways, then slice again to make chips. Drizzle with a little olive oil (I use garlic infused olive oil), sprinkle with freshly-ground black pepper and freshly chopped herbs (thyme or rosemary). You can also throw on some whole, unpeeled garlic cloves if you wish, and drizzle with a little thick balsamic glaze – but whatever you do, don’t add salt! Bake in the oven at whatever temperature you need for your other food (between 180oC and 200oC is ideal) for around 20 minutes. Sweet potatoes are one of the richest dietary sources of oestrogen-like plant hormones known as lignans, which are also found in chickpeas. 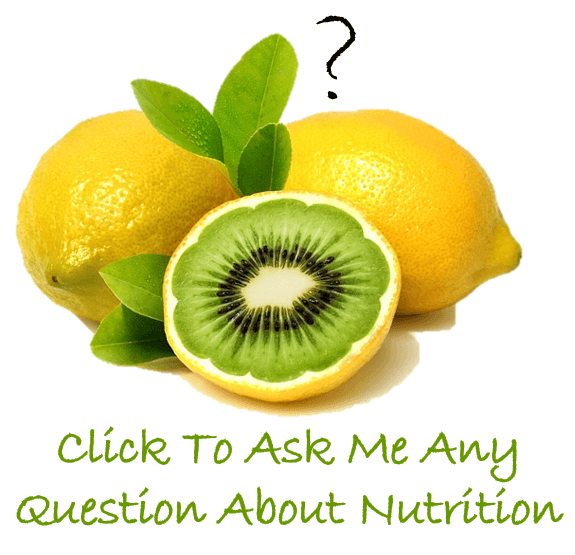 Like their close cousins, the isoflavones, these are present in an inactive form. When you eat them, bowel bacteria convert them into enterolignans (eg enterolactone and enterodiol) which have a weak, oestrogen-like action. By interacting with human oestrogen receptors, these enterolignans block access to the stronger human oestrogens which are associated with hormone-dependant cancers of the prostate and breast. Enteroligans also have anti-inflammatory and anti-cancer actions by reducing the proliferation of abnormal cells, and triggering their programmed cell death (apoptosis). Enterolignans also have a unique ability among plant oestrogens to inhibit the enzyme, 5-alpha reductase, which converts testosterone to the stronger dihydrotestosterone (DHT). The formation of DHT in scalp hair follicles is linked with thinning hair and hair loss (which can be reduced by caffeine-containing shampoos), while in the prostate gland increased DHT levels are associated with both benign prostate enlargement (BPH) and prostate cancer. DHT concentrations are five times higher in an enlarged prostate gland than in those of normal size, for example, and if the conversion of testosterone to DHT is prevented, by blocking the action of 5-alpha reductase, BPH does not occur and can even be reversed once it has developed. This makes switching to sweet potatoes a great choice for men, in place of white potatoes. Activated sweet potato lignans (enterolactone and enterodiol) suppress the growth of prostate cancer cells in laboratory culture studies through both hormone-dependent and independent mechanisms. Recent studies also suggest that dietary lignans may block cancer cell proliferation in men with a diagnosis of localised prostate cancer. One Scottish study, involving over 900 men, aged 50 – 74 years, found that those with the highest blood concentrations of enterolactone were 60% less likely to develop prostate cancer than those with the lowest levels, suggesting that dietary lignans might offer some protection against prostate cancer in older males. Other studies found no significant association between blood lignan concentrations and overall risk of prostate cancer, however. This could be because total dietary intakes were too low to show a protective effect, or because of the individual genetic profiles of the men involved. It’s now known that enterolactone has the greatest protective effect in men with a particular gene profile that is known to increase the risk of prostate cancer. In this group of men, those with a high enterolactone concentration are 28% less likely to have prostate cancer than those with the lowest blood enterolactone concentrations. Given that sweet potatoes are a nutritional powerhouse that has beneficial effects on both blood pressure and glucose tolerance, it makes sense to eat more of them. Data from 21 studies has shown that women who with the highest intake of lignans are 8% less likely to develop breast cancer than those with low intakes. Protection is greatest in postmenopausal women, in whom a high lignan intake was associated with a 14% lower risk of breast cancer compared to those with the lowest intakes. In women who already have a diagnosis of breast cancer, a higher intake of dietary lignans is associated with a lower mortality. A study involving over 2650 postmenopausal women with breast cancer, who were followed for over 6 years on average, found that those with the highest blood levels of enterolactone and enterodiol were 40% less likely to die from any medical cause during follow-up than those with the lowest levels. The researchers suggested that postmenopausal women with breast cancer who have high serum enterolactone levels may have better survival. Data from five studies exploring lignan intakes and breast cancer prognosis also found that those with the highest intakes had a 43% lower risk of all-cause mortality and a 46% lower risk of breast-cancer-specific mortality compared with those whose intakes were low. A significant association remained after accounting for weight, smoking status and physical activity so these findings were not just down to having adopted a healthy lifestyle. So next time you plan to eat potatoes, consider opting for sweet potatoes instead. They are eaten in a similar way – baked, mashed or added to soups and stews for example – but can also be grated and used raw in salads. I promise you’ll love them for their flavour as much as for their health benefits. There are some amazingly tasty sweet potato snacks available, too, when you’re in need of a healthier treat! 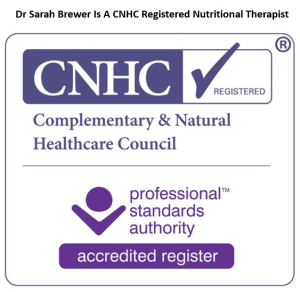 QUORA EXPERT - TOP WRITER 2018 Dr Sarah Brewer MSc (Nutr Med), MA (Cantab), MB, BChir, RNutr, MBANT, CNHC qualified from Cambridge University with degrees in Natural Sciences, Medicine and Surgery. 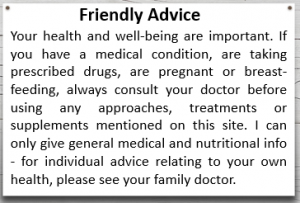 After working in general practice, she gained a master's degree in nutritional medicine from the University of Surrey. 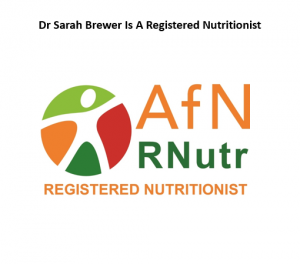 Sarah is a registered Medical Doctor, a registered Nutritionist and a registered Nutritional Therapist. She is an award winning author of over 60 popular self-help books and a columnist for Prima magazine. Great substitute if you’re really hungry for some fries! Cut up some sweet potatoes, spray on a little coconut oil and garnish with a little garlic. YUM! Mmmm, sweet potatoes are delectable. Thank you for sharing this information. It is so lovely when nutritious and delicious collide. Even more proof that tasty and healthy are not mutually exclusive. Thanks Kendra. There are some great sweet potato salad recipes on my site, too. I hadn’t realised they could also be eaten raw! This is fantastic information about sweet potatoes! I highly recommend them as well, and now I have a wonderful source as a reference. They’re a great alternative to white potatoes – and tastier!